It seems that the Lilacs are producing many more blooms than normal this year. Apparently the long, cold winter didn’t bother them at all. This means there are so many more blossoms to cut for inside the house. Inside you can enjoy a close-up look at the flowers and smell their wonderful scent! 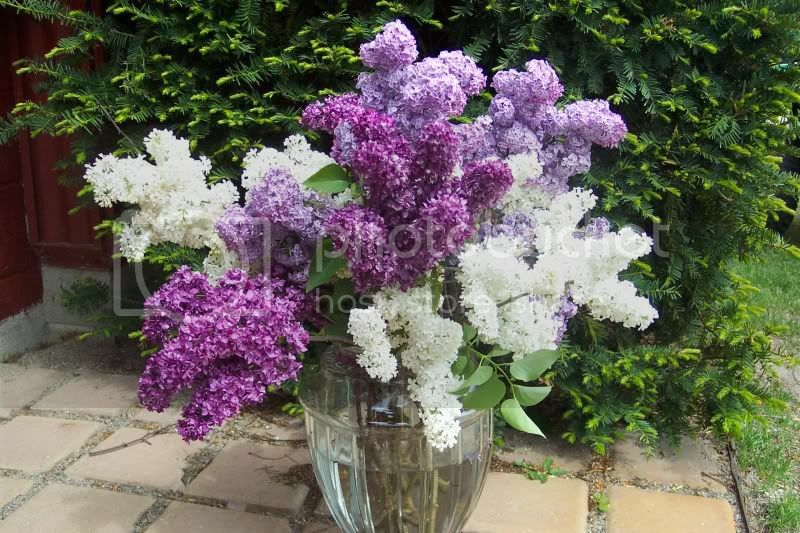 We have three varieties of Lilacs on the property to choose from; white, dark purple and traditional Lilac color. Each one has a slightly different smell. Placing all three together in a vase like this gives you a really complex aroma to enjoy. Now, Lilacs differ from many other cut flowers in that they flower on woody branches. This changes how they are handled after cutting. The more water a flower stem takes in, the fresher and longer lasting it stays. To accomplish this, gardeners have discovered a little trick for cut Lilacs. Start by snipping the stem to its final length, one that fits the size of vase. 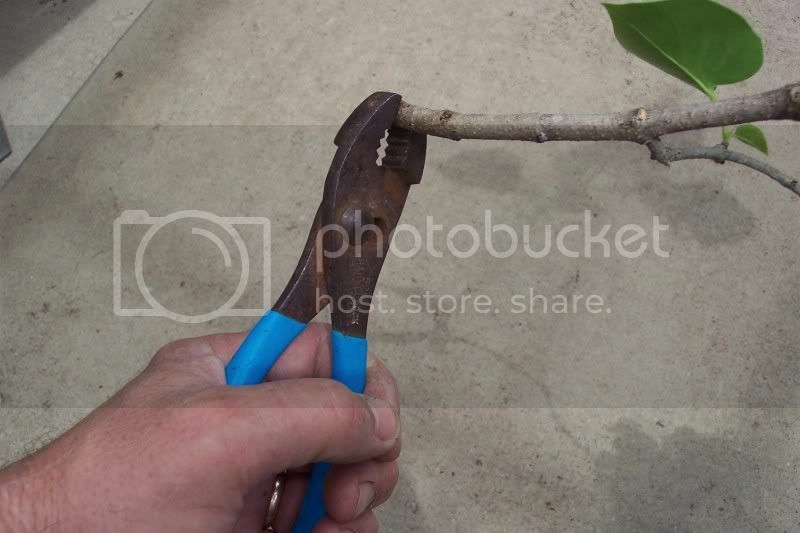 Then take a pair of pliers and crush the cut end of the stem and place the stem immediately into the water. This helps water to move up into the stem where it is most needed. Cut Lilacs are not the longest lasting cut flower by any means, but by using this simple trick, you can enjoy them for a bit longer. Last week I received some replacement bees that I ordered back in January. I needed them for the hives that were lost earlier in the year. You can purchase bees from various bee supply stores. They are not sold by the dozen or by the gross, instead you buy them by the pound, usually in 2 or 3 pound packages. I bought the 3 pound size (about 12,000 bees). 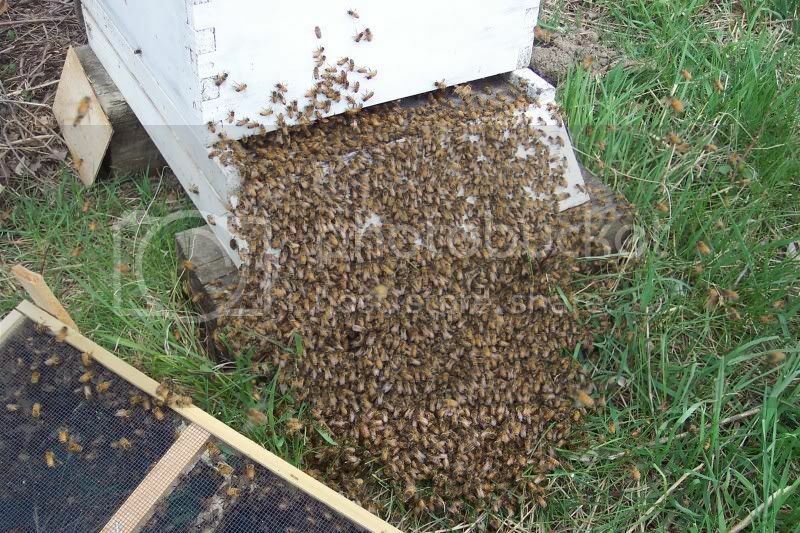 It makes sense that the more individual bees you start out with, the quicker you can get your beehive up to optimum working strength for nectar collection and honey making. 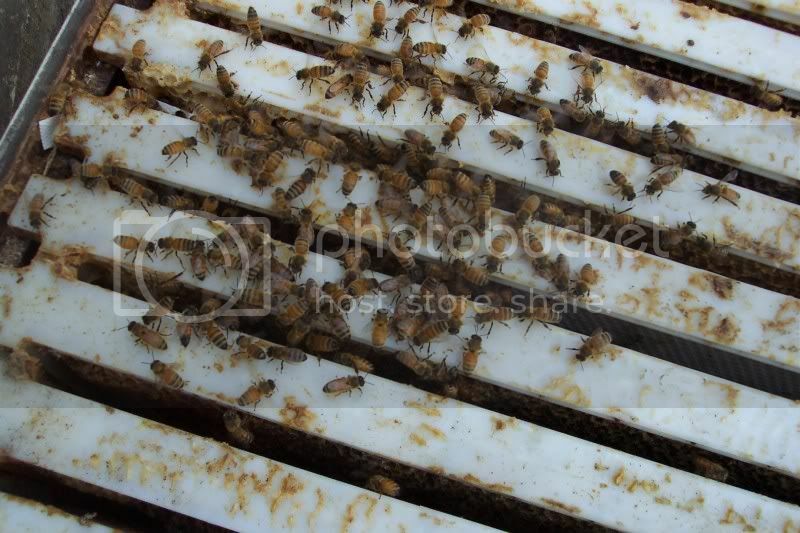 The packaged bees are raised and then shipped from Florida. They make it to their new home in Michigan in less than a day by truck. The shipping container is a wood frame box covered with window screening. 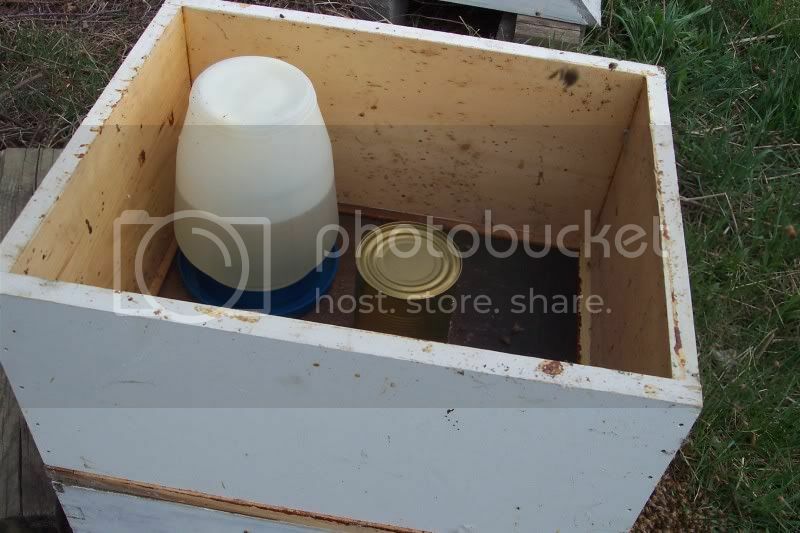 By prying open the top cover you can see that the container includes a can of sugar water for the bees to eat on their journey north. 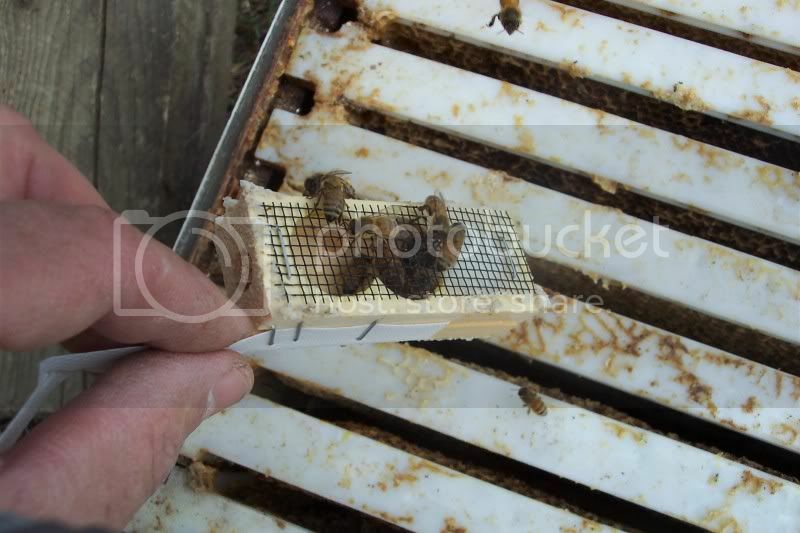 A small screened cage that houses the honey bee queen is suspended inside the bee package as well. Keeping the queen in her own protective cage keeps her safe during the journey. 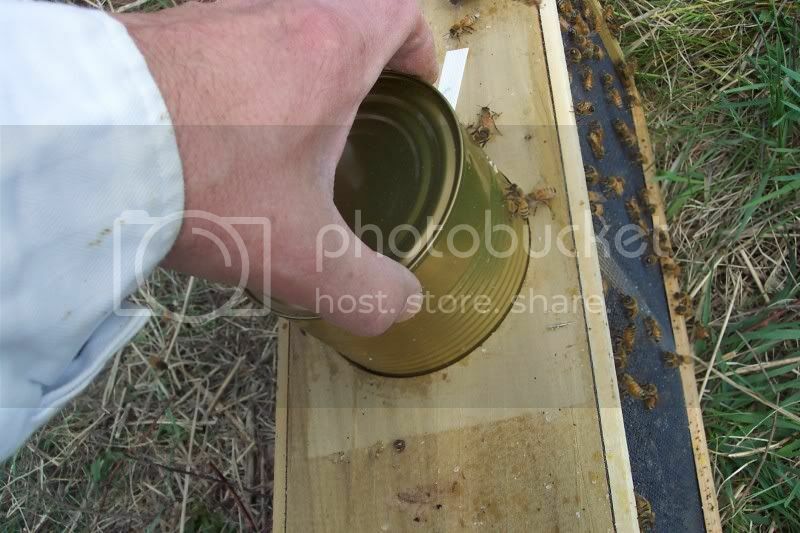 I had to take out the sugar water can so that the bees could be released through the opening. Then the queen cage was removed. 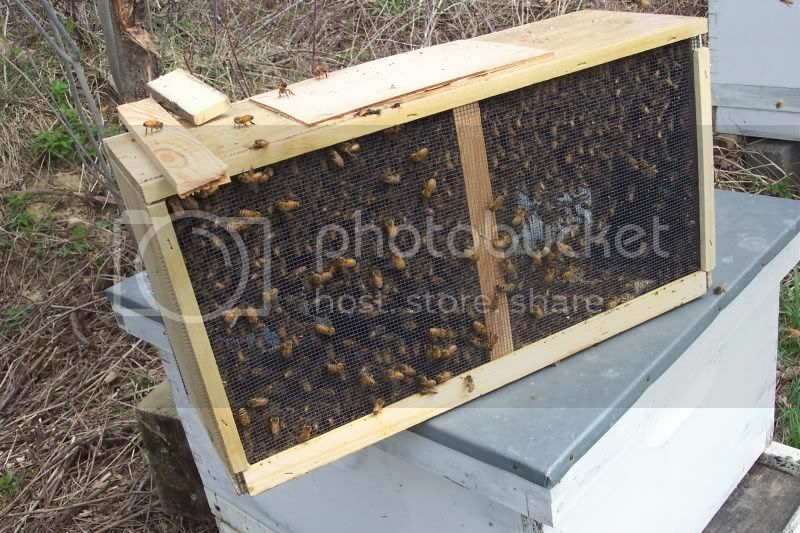 The queen cage was hung between a couple of hive frames. 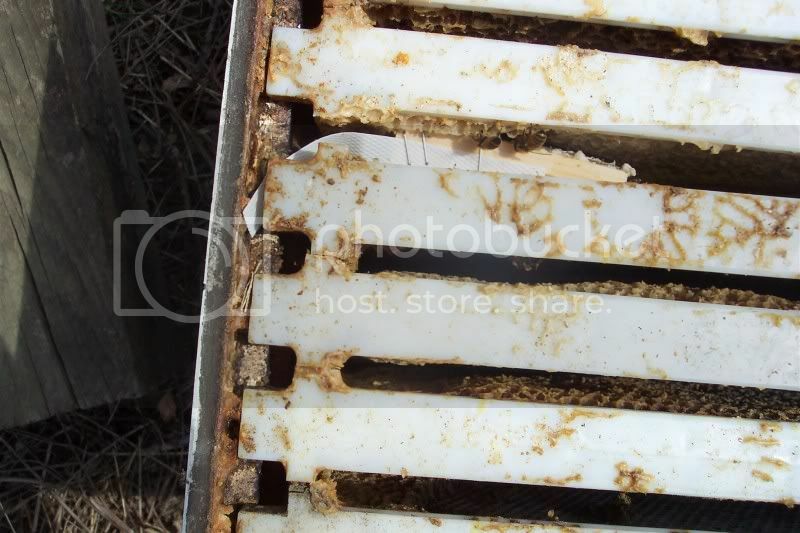 The frames are what holds the honey combs in place inside the hive. 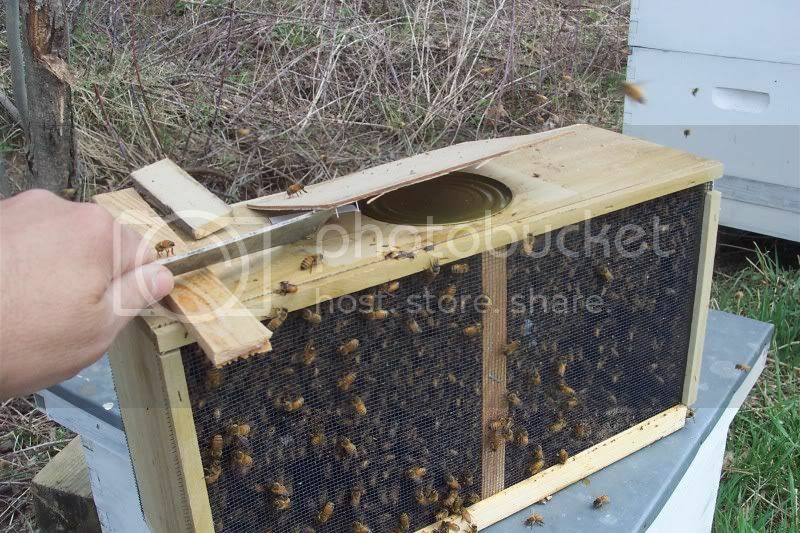 The fun part is when you shake the bees out of the container. I shook a few over the frames. 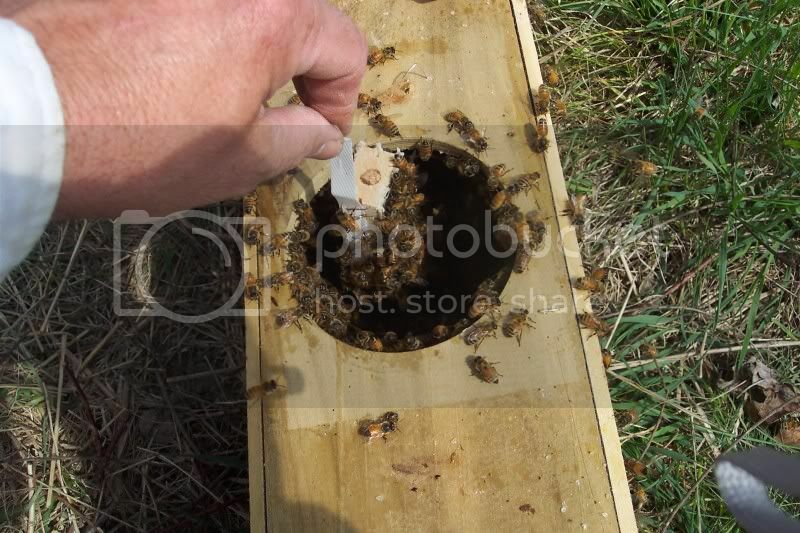 The rest were poured out near the front entrance of the hive. They started up into the hive right away. The queen bee gives off a special scent that lets all of her worker bees know where she is at all times. I added some sugar water in a plastic feeder and closed the whole thing up with an empty hive box. Tomorrow I’ll check the new hives to make sure the queens are still alive . If so, then I’ll be pretty sure that the new hives have gotten off to a good start. Our Monroe County Consumer Horticulture Educator, Jenny Stanger, will be hosting a Live Chat on Tuesday May 5th beginning at 11:30 am. Jenny is your direct link to all of the horticulture resources at Michigan State University, so this will be a good chance to get your specific gardening questions answered right on the spot in real time.